Artist Max Blomgren's body of work is constructed from his "feelings, thoughts and experiences". 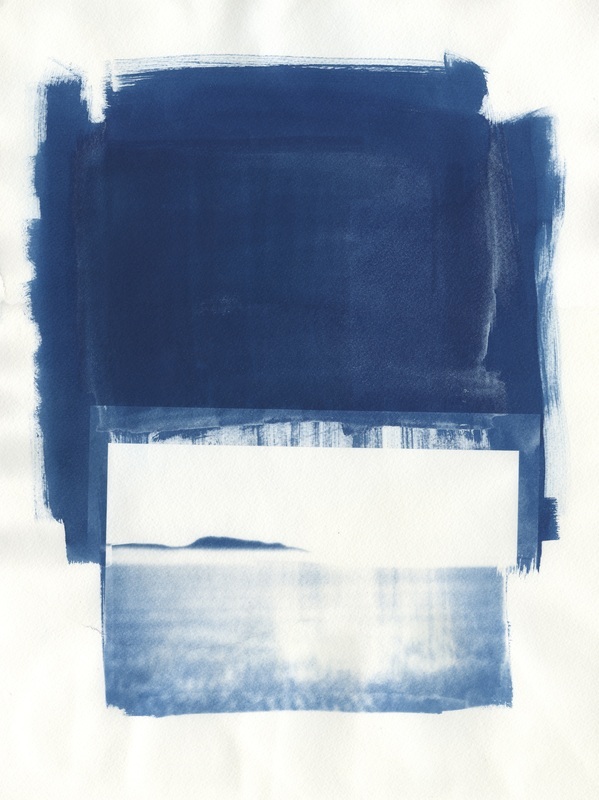 His series "Memory,Cyanotypes" is a testament to this. In 2010, Blomgren learned he "had a benign tumor on my cortical spine. It was critical to have it removed immediately, and only a week after I discovered it I was in the hospital for my first surgery. The end result was two separate surgeries to have the tumor removed." Blomgren used his art to get through his surgery and recovery. Blomgren found the cyanotype process to be "erratic, but the images that it can produce are astounding. There is an ability to layer and transform the negative unlike any other method I have seen in photography. The emulsion itself can take on photographic qualities without interacting with the negative. New spaces can be defined, and chance occurrence can make the image unique and impossible to reproduce. 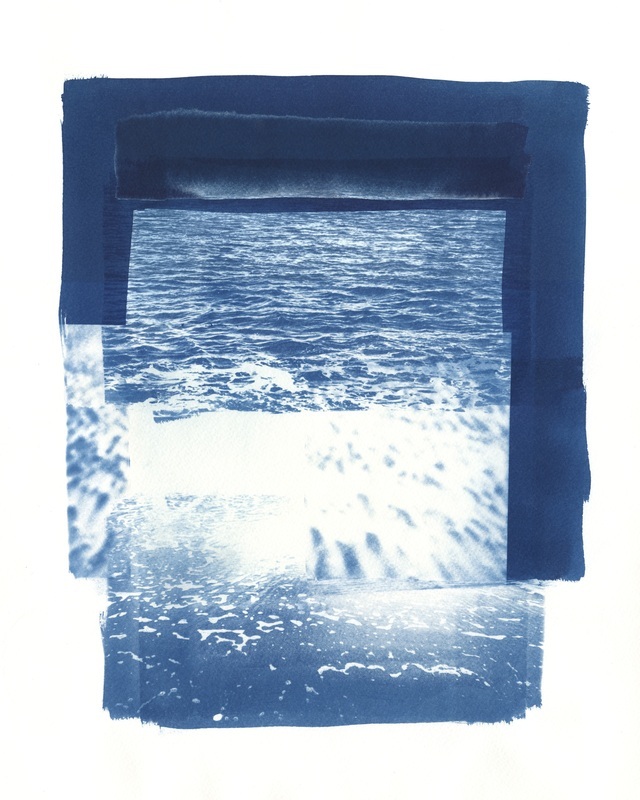 This is why I think that the cyanotype is a perfect representation of memory." We are thrilled to have Blomgren as a featured artist on ArtCrasher. His artwork is stunning in its layering and simplicity. 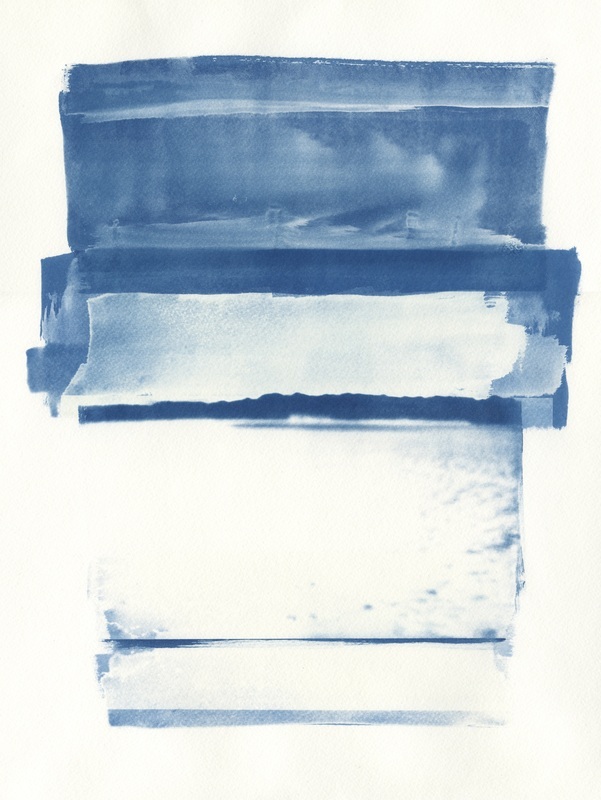 Blomgren's use of cyanotype allows viewers to better appreciate shapes, lines and forms that are often overlooked. To learn more about Blomgren, you can check out here website here.